“Everything is awesome”, the saying that pretty much sums up the movie and also the name of the song that will be drilled in your memory for a couple of days following a viewing of The Lego Movie. In a metropolis city run by the corporate ruler Lord Business (Will Ferrell), the inhabitants of Bricksburg seem to be getting along just fine and dandy. But Lord Business has plans to use the malicious “Kragle” to freeze the world to his liking. The movie’s story centres around Emmet (Chris Pratt), a completely ordinary Lego minifigure who suddenly and unexpectedly gains the title of the “most extraordinary person” after finding the mysterious “piece of resistance”. 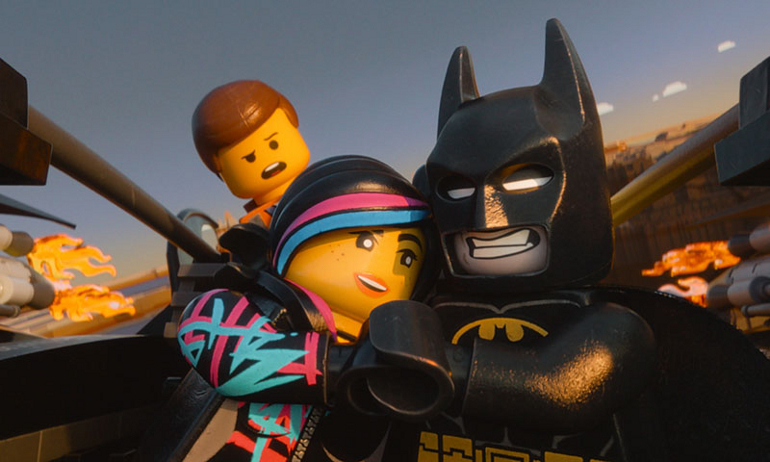 Along with a team of master builders including Wyldstyle (Elizabeth Banks), the wizard Vitruvius (Morgan Freeman) and even Batman (Will Arnett), Emmet must go on a quest to save the world. 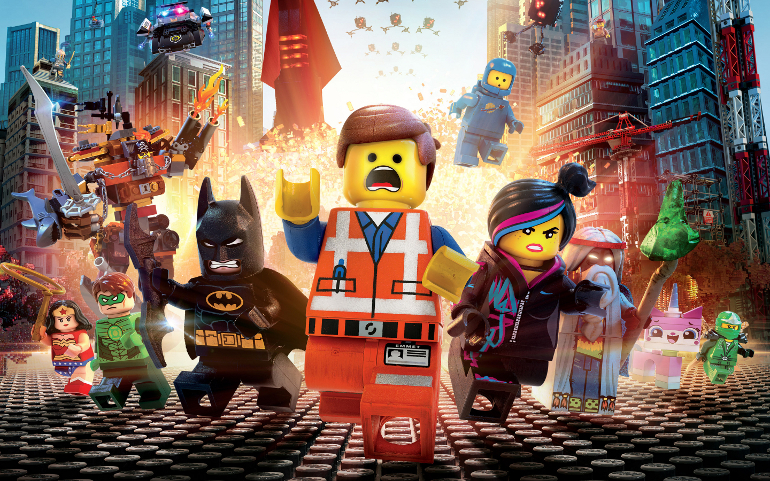 From a dazzling visual style and imaginative worlds to a star-studded cast and a simple but charming story, The Lego Movie sets a huge standard for movies in 2014, and not just animated ones. 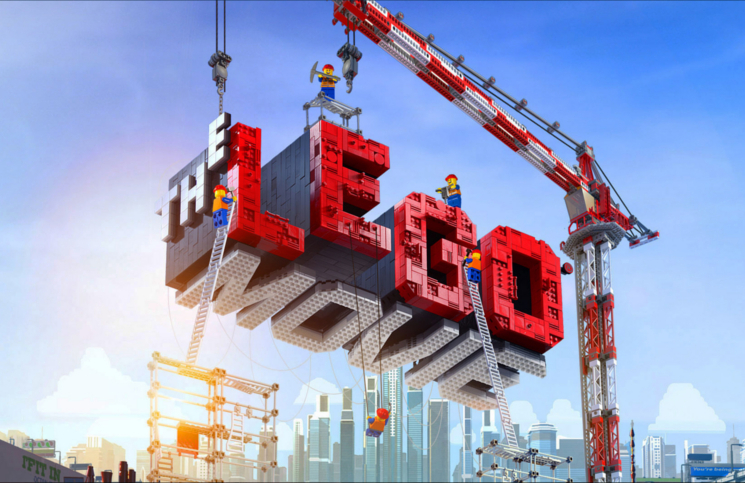 The Lego Movie taps into your inner child and gives you a visual feast that’ll make you say “I want to go play with Lego now”….and that’s just fine, regardless of your age. For a movie where the characters only have 7 joints for movement, its amazing how much life they have. While animated in 3D, its clear to see the influence of stop-motion animation that many fans use with their Lego collections to make and share their stories. Even the special effects are made of Lego bricks which really adds a unique and comical style to the film. The story is relatively simple but includes imaginative and often ludicrous scenes which will really brighten up your day. What really puts The Lego Movie on its pedestal is the genuine passion the film-makers have for Lego and this really comes across in all the gags but also the messages and heartfelt moments the movie also has. When it comes to gags, there are far too many to count in The Lego Movie, from a wide variety of cameos from all different characters in the Lego range to jokes that can only be told through Lego, you will definitely leave the cinema with a smile on your face. Some say that The Lego Movie is just a 1-hour 20-minute advertisement and they’re not wrong, but that’s not a bad thing because you can never have enough Lego! As a brickfilmer who uses Lego to make animations, I was chuffed to see The Lego Movie announced but I never thought it would have been as great as it was. I’m thoroughly pleased with The Lego Movie as it truly represents that a toy can be so much more than just a toy, and instead become something that represents creativity, imagination and most importantly: fun. Previous PostDownloading Media: The "Reasoning"